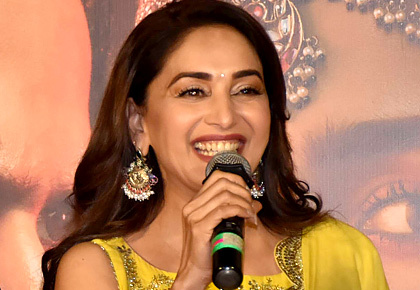 Rediff.com » Movies » Why is Madhuri smiling so much? Why is Madhuri smiling so much? The movie heart-throbs of the 1990s reunite after 22 years. 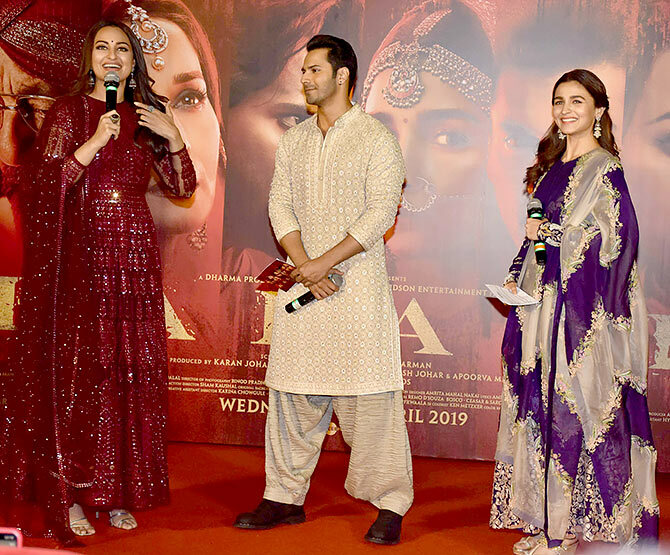 The Kalank -- directed by Abhishek Varman, produced by Karan Johar -- trailer was launched on Wednesday, April 3, at PVR, Juhu. The trailer didn't impress our critic Namrata Thakker though. 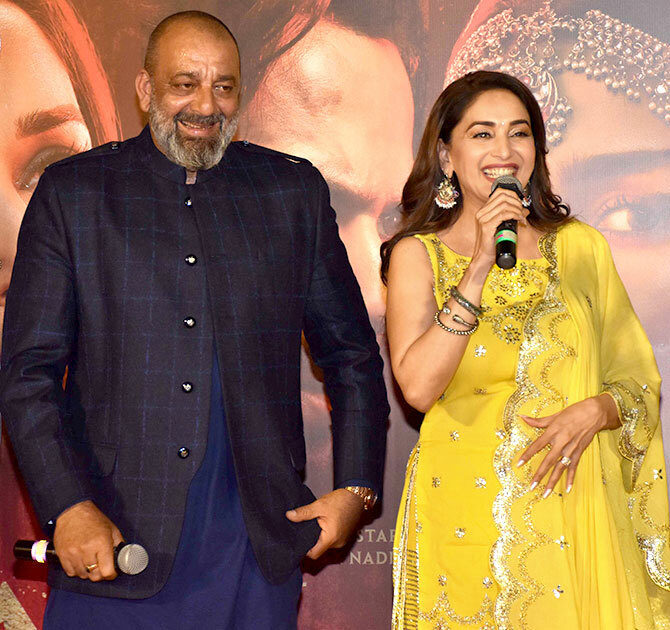 Sanjay Dutt and Madhuri Dixit reunited after 22 years for Kalank; their last movie together was Mahaanta in 1997. SanjuBaba and Madhuri were a hit pair in the early 90s and had inexplicable chemistry. At the trailer launch, the cast introduced each other via shayaris. 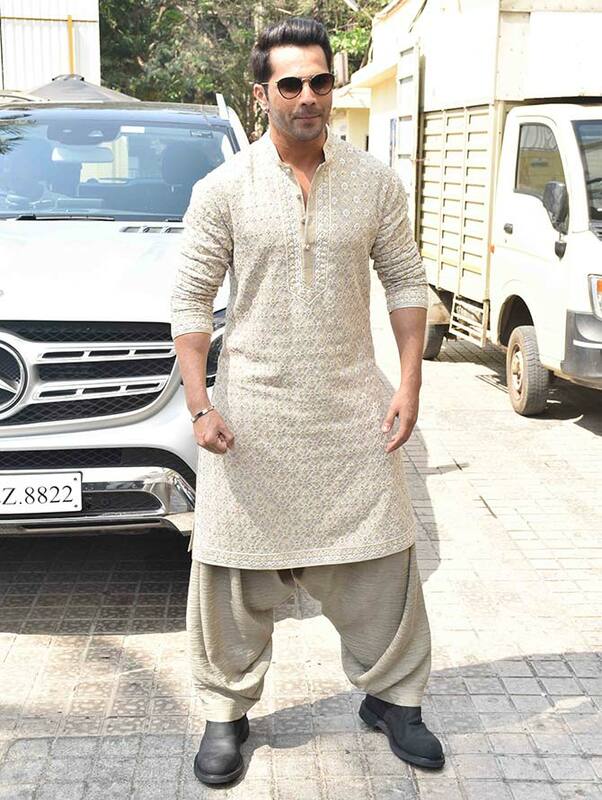 Varun Dhawan said he was aware that Shah Rukh Khan was the first choice to play the lead in Kalank. The romantic drama originally featured Shah Rukh along with a reported cast of Kajol, Rani Mukerji and Ajay Devgn among others. "I was aware that Shah Rukh sir was supposed to do the film. At that time, Karan was going to direct it and Mr Yash Johar was producing it," Varun told reporters. 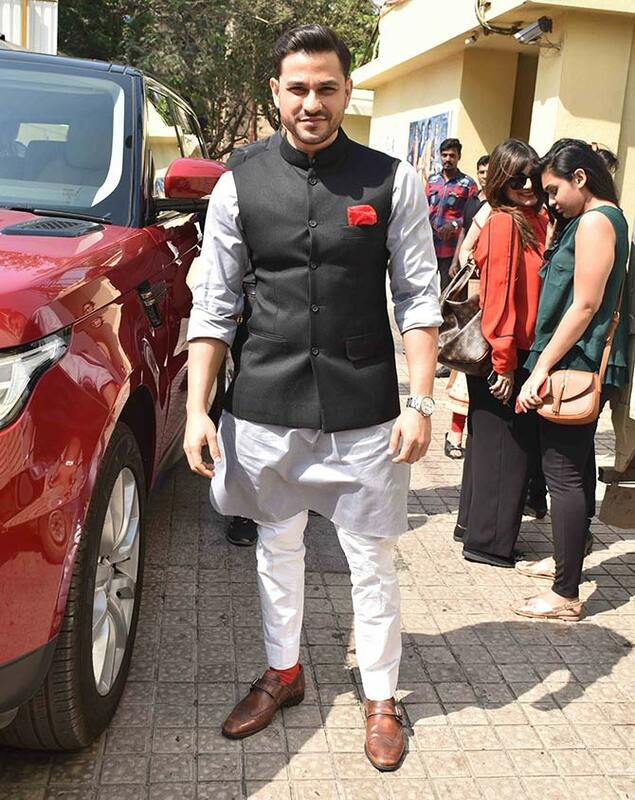 Karan abandoned the idea and did not want to revisit the story after his father's death. 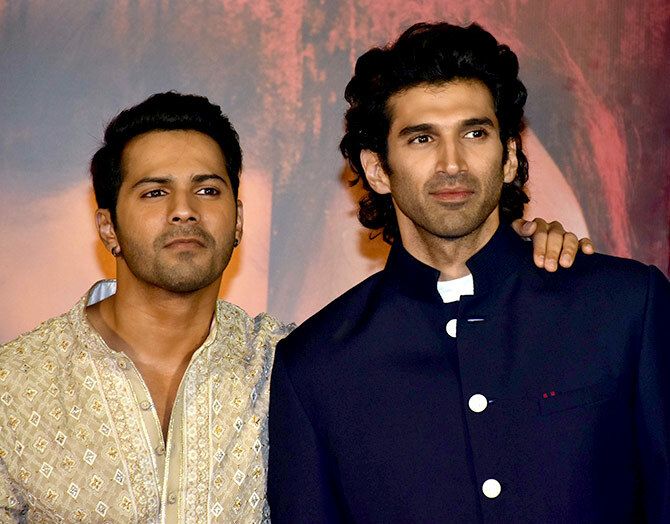 Kalank Director Abhishek Varman, Varun revealed, was his roommate during the shooting of Karan's My Name is Khan when both men were assistant directors on the film. "Abhishek told me how Karan narrated the story to him. At that time, no one would've imagined that he would direct it someday and I would act in it," Varun said. Varun met Shah Rukh after the Kalank teaser released. "He had some good things to say," Varun revealed about his encounter with SRK. "He said 'Good, you're working hard and doing these roles'. These are roles that will get you closer to the audience'." 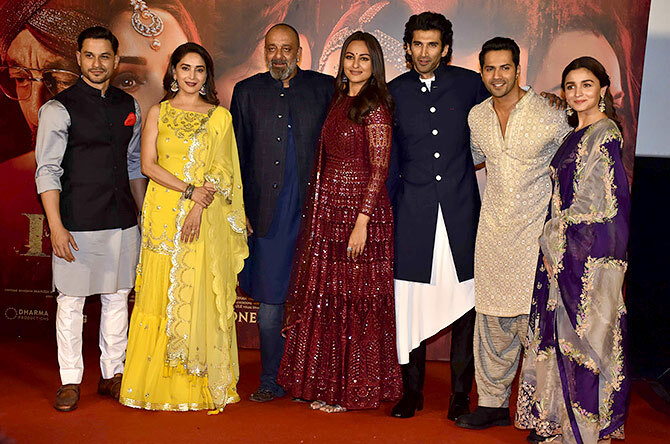 In addition to Varun, Madhuri and SanjuBaba, Kalank stars Alia Bhatt, Sonakshi Sinha, Aditya Roy Kapur and Kunal Kemmu. 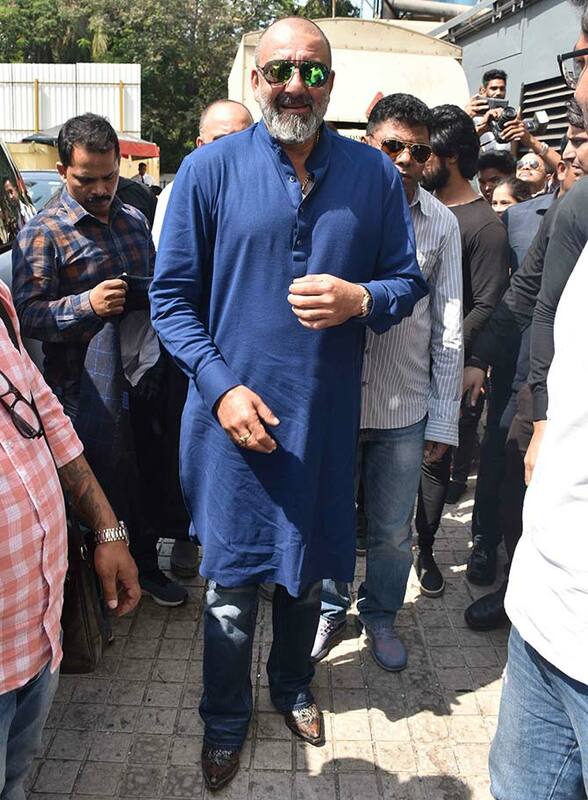 Kalank releases next fortnight, April 17, but let's check out who plays who in the film. Sonakshi plays Satya Chaudhry. Aditya plays her husband Dev Chaudhry. Kunal plays Laxman in a cameo part that stole the show in the trailer.